Curling’s biggest rock stars will be heading to the Rock in 2017 for the Tim Hortons Brier, it was announced today by Curling Canada. 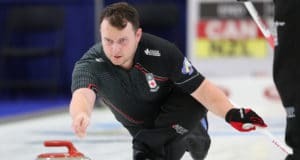 The 2017 Canadian Men’s Curling Championship will be played March 4-12 at Mile One Centre in St. John’s, and will be just the second time the Brier has been played in Canada’s easternmost province. 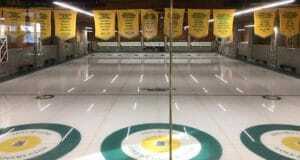 The 1972 Macdonald Brier was held at Memorial Stadium in St. John’s and won by Manitoba’s Orest Meleschuk. 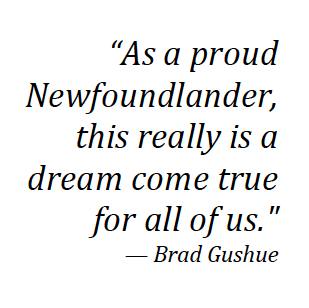 Forty-five years later, after a rousing campaign put together by local organizers that saw Newfoundland and Labrador curling fans put deposits down on nearly 2,200 event passes, curling’s biggest show is making a long-awaited return. 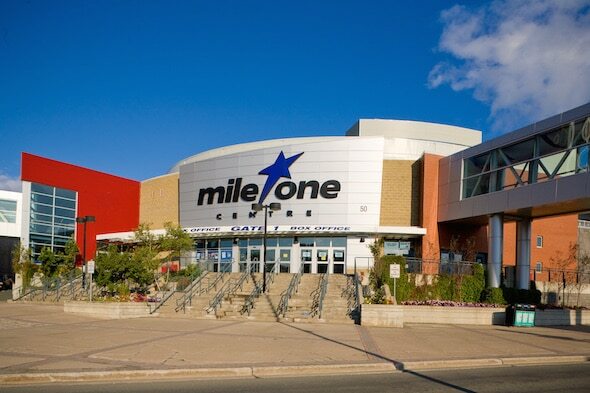 Mile One Centre, with a seating capacity of around 7,000, opened in 2001, and is home to the St. John’s IceCaps — the Montreal Canadiens’ American Hockey League affiliate. 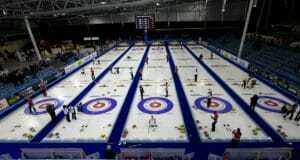 It also played host to the 2005 Scotties Tournament of Hearts, won by Winnipeg’s Jennifer Jones with a dramatic 10th-end in-off takeout to score four and beat Ontario’s Jenn Hanna. 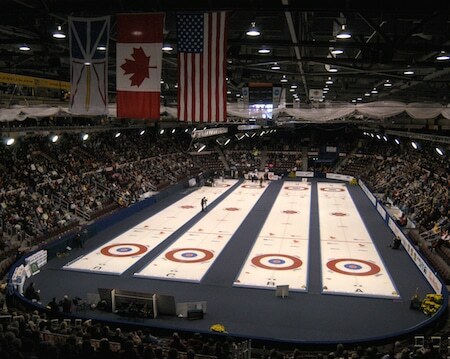 Mile One Centre played host to the 2005 Scotties Tournament of Hearts. The 2017 Brier will mark the 13th year of title sponsorship by Tim Hortons, one of North America’s largest restaurant chains in the quick-service segment. In addition to the curling action at Mile One Centre, the World Famous Patch will be set up in the adjacent St. John’s Convention Centre, which is connected to the arena by a covered pedway. The winner of the 2017 Tim Hortons Brier will represent Canada at the 2017 Ford World Men’s Curling Championship on home soil (host city and dates to be announced). As well, should the Brier champs win a medal at the Ford Worlds, they also will secure direct entry into the 2017 Tim Hortons Roar of the Rings Canadian Curling Trials in Ottawa. Tickets for the 2017 Tim Hortons Brier, the 88th edition of the championship, are expected to go on sale early in 2016. The Brier has been played in 31 cities across Canada, from Victoria to St. John’s. Manitoba has won a leading 27 Briers, while Alberta is just behind with 26 victories. New Brunswick, Prince Edward Island, the Yukon, Northwest Territories and Nunavut have yet to win. Newfoundland/Labrador’s lone Brier championship was in 1976 when Jack MacDuff prevailed in Regina.